The Global Investigative Journalism Network (GIJN) is looking for an editor for Sub-Saharan Africa. The deadline for application is February 28. Journalists with three years of experience can apply for this half-time, remote position. Responsibilities include producing content relevant to investigative journalists in Sub-Saharan Africa, obtaining content from GIJN’s various sources across Africa and distributing the content via social media, among other tasks. Candidates must have a solid understanding of investigative and data journalism, be based in Sub-Saharan Africa and have social media managing skills. The position reports to GIJN’s Johannesburg-based Managing Editor, but the successful candidate can be based anywhere in the region with a strong broadband connection. GIJN is an association of 155 organizations in 68 countries dedicated to spreading and advancing investigative journalism around the world. This position is aimed at strengthening and building networks and organizations of investigative journalists in sub-Saharan Africa. While initially half-time, this position has the potential to become full-time. Aggregate, produce, and distribute content relevant to investigative journalists in sub-Saharan Africa. Obtain content from GIJN’s various platforms and from sources across Africa, including information on such topics as investigative tools, techniques and methodology, award-winning and other enterprising stories, fellowships and grants, and conferences and training. Distribute content via social media, a GIJNAfrica webpage on GIJN.org, and other media as appropriate. Facilitate and moderate discussion among GIJN followers on social media. 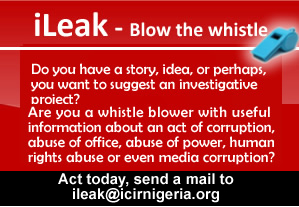 Conduct outreach and assist in developing the investigative journalism in sub-Saharan Africa. As time permits, help on other GIJN tasks, such as conference preparation and training workshops. Answer or refer research queries from GIJN members. Skill at running a successful social media campaign is essential. Must be based in a sub-Saharan African country (not North Africa). Applicants should have at least three years of work as a professional journalist and a solid understanding of investigative and data journalism. Strong organizational skills, clear and comprehensive English, and the ability to work remotely in a global, cross-cultural team. The successful candidate also will be self-motivated with good communication skills and an ability to meet deadlines. Salary: Competitive with international NGOs and commensurate with experience. Send resume and cover letter to hello@gijn.org with subject heading gijnAfrica Editor. Deadline: February 28, 2018.